Welcome to our latest edition of Influence’s News and Views! We Did It!! 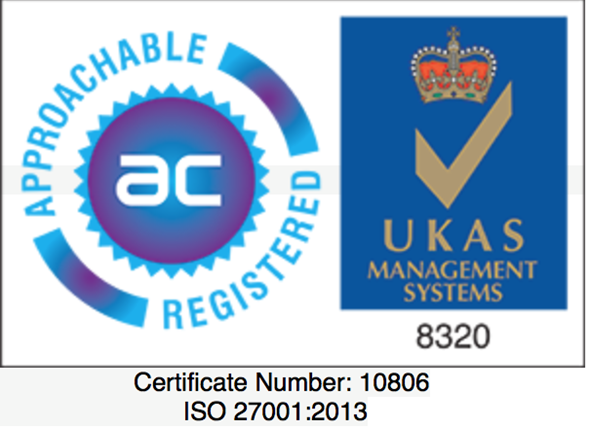 ISO27001:2013 Certification! ISO 27001 is the most stringent certification for information security controls which are put in place to prevent and defend against potential data system vulnerabilities. The certification also ensures that the information security controls continue to meet security needs on an ongoing basis. ISO27001 is recognised in every country and every market in the world as the mark of highest competency in information security management. 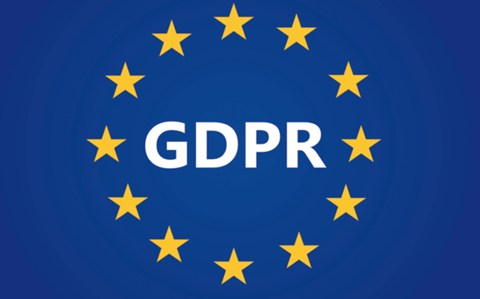 The General Data Protection Regulation (“GDPR”) is intended to bring European data protection and privacy laws into harmony and into the 21st century by building on the existing laws and concepts. We have published a GDPR white paper that can be found on our website www.influence-it.com/gdpr-recruitment- software which will provide you with a comprehensive understanding of the new regulations and what you need to action to ensure you are compliant ahead of the 25th May 2018 deadline. To ensure GDPR compliance, is there a Candidate consent audit trail: The Policy Management System will also enable you to trace the date and method that consent was received (or withdrawn) and exactly which policies they agreed (or disagreed) to at the time. You will be able to make policy revisions which will allow you to track who is on an older version of a policy and needs to be given updated policy information. How can I show a candidate we have removed their data: We have updated our removal tools in order to make removal of data easier and more transparent to the end user, when a candidate requests that their data should be removed. This functionality will also provide you with a report to send back to the candidate showing proof if they wish. How can I ensure we have records of data policy: Influence’s new Data Policy Manager will enable you to record candidate’s opt in choices to di erent policies, as well as how these opt-ins were received. a given candidate or contact that is currently being held in the database to be Viewed or a CSV file created which can then be sent to the relevant candidate if requested. Is our data safe and where is it stored: Yes – your data is safe! If you are going to use one of our hosting partners they carry high levels of security to Tier III level with all equipment providing the service and are all ISO27001 certified data centres. This is certainly not an exhaustive list of everything that Influence is doing to help you stay GDPR compliant. We would be delighted to engage with you further if you or your GDPR specialist have any questions regarding our white paper. Q&A with Dave Sargeant. 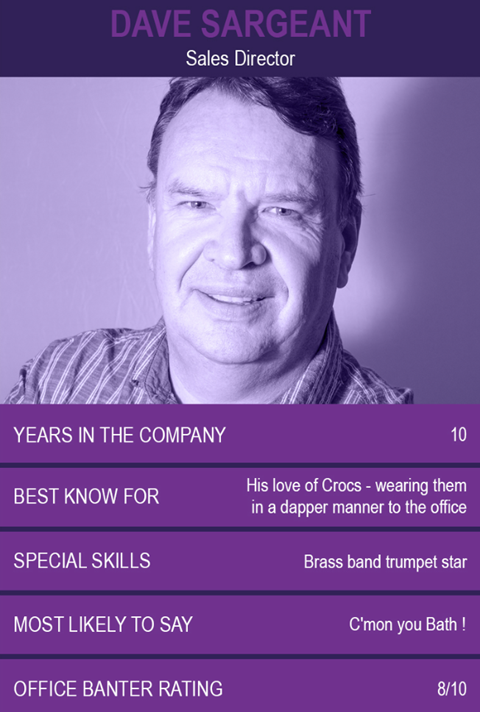 A quick fire round of Q&A with Influence’s Sales Director, Dave Sargeant. How do you feel the market has changed over your 10 years with Influence? Customers expectations with regards to cost and functionality have increased over recent times and, therefore, companies are having to work harder and smarter to meet and exceed those expectations. It is crucial that software developers listen closely to what is needed. The customer is very much driving the market nowadays – we have a process in-house to ensure that all this information gathered is discussed and then formulated into a plan to add to our Development Roadmap. The products must be developed around the user experience and requirements. What do you hear mostly from potential clients and clients regarding their ideal CRM “Wish List”? I think that more and more, Recruiters and looking for a streamlined CRM that really is an integrated system with the capability to handle all aspects of their business. There is also a desire for this system to be well connected and most importantly, well supported. On a “partnership” level, the Recruiter wants to work with companies who understand their areas of pain and have solid suggestions as to how to solve them, as well as have a robust understanding of their industry. It is really important to them that their CRM can manage availability of candidates so as soon as they become available they can be assigned to a new opportunity with as little manual intervention as possible. I feel at Influence that we have really understood this and ensured that each department has an extensive understanding of our clients needs and that with all functionalities that we introduce to Influence, these requirements and environmental factors are taken into consideration. How do you feel Influence fits into the Clients working environment? Recruitment is a fast moving environment with both Permanent and Temporary options. Influence has to react to the pace that the Recruiters need to work at and I feel that the most important aspect of this is the ease of use of getting information into the CRM and then to communicate this information to candidates and customers in a streamlined manner. We need to ensure that Influence is working SMART and helping the Recruiter work efficiently and diligently and not wasting any time. With the automation of messaging, booking confirmations, interview confirmations etc… all at a click of a button, I really believe that we are ticking that box! Communications with both candidates and recruiters alike is simple and easy and therefore all tasks take minimal amounts of time. In such pressurised, time sensitive environments, Influence is reducing stress and ensuring day to day precision in workloads within structured timeframes. What are Recruiters most concerned about when either moving to a new CRM from another, or alternatively, purchasing a CRM having not had one before? I think that the main worry is that they won’t be able to preserve the data that they already have in their current CRM, and there are anxieties that arise concerning the transfer of this data into a new CRM. We have a seamless process here at Influence with regard to the transfer and yes, all data can be put into their new CRM. Another key concern is whether the software supplier can effectively train and educate the Recruiters in the new technology, is it user friendly? We pride ourselves at Influence on our implementation process that includes on site training in the customers own environment using familiar data. We also have an incredibly proactive Helpdesk as well as our online knowledge base. Our customers speak highly of our training processes and we always ensure that we are as responsive as we can be to queries and offer customer requests. Clients moving to a software product who don’t currently use any kind of CRM have normally had a bad experience with a CRM previously and are therefore entrusting of the functionalities and overall efficiency of the product. There are also worries surrounding the CRM’s ability to be able to handle both Perm and Temp requirements. many of our prospective clients may still be using spreadsheets. 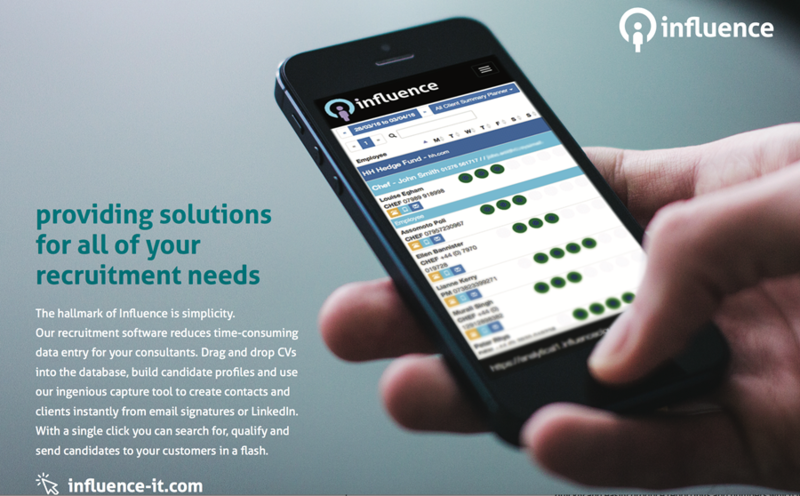 Influence has listened to this issue and therefore retained the look and feel of a document based CRM system but can provide all the functionality that automation supplies. Grouping functionality in Influence will help you maintain the flexibility of a spreadsheet but have the ability to share data with other consultants as well. Is there anything you’d like to add? I firmly believe that the key to success with any CRM is listening to the customers needs and adapting your development roadmap to their requirements ensuring a nimble and agile development plan in the fast moving landscape of software development. The CRM must address their needs and ensure streamlined, efficient and robust processes to ensure a stress free daily process for the recruiters. 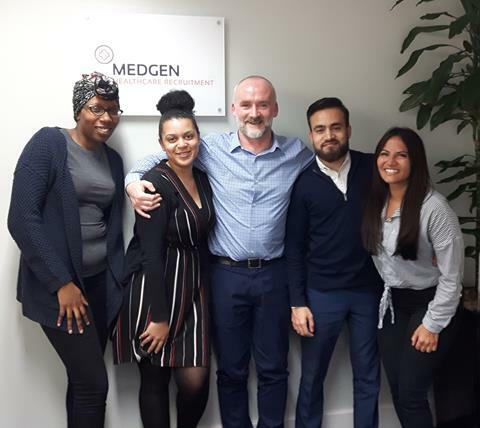 We have been busy training brand new sites this month and look forward to welcoming new Influence customers into the fold.